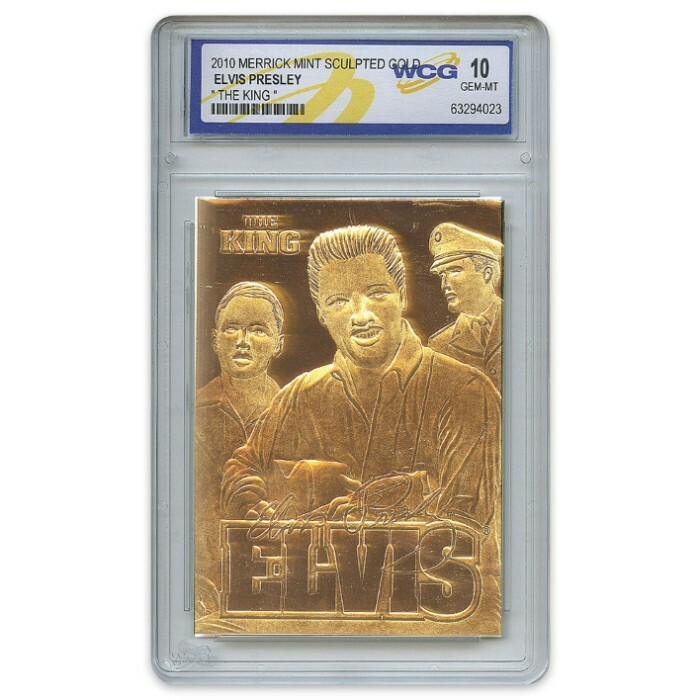 Elvis Sculptured 23K Gold Card | BUDK.com - Knives & Swords At The Lowest Prices! 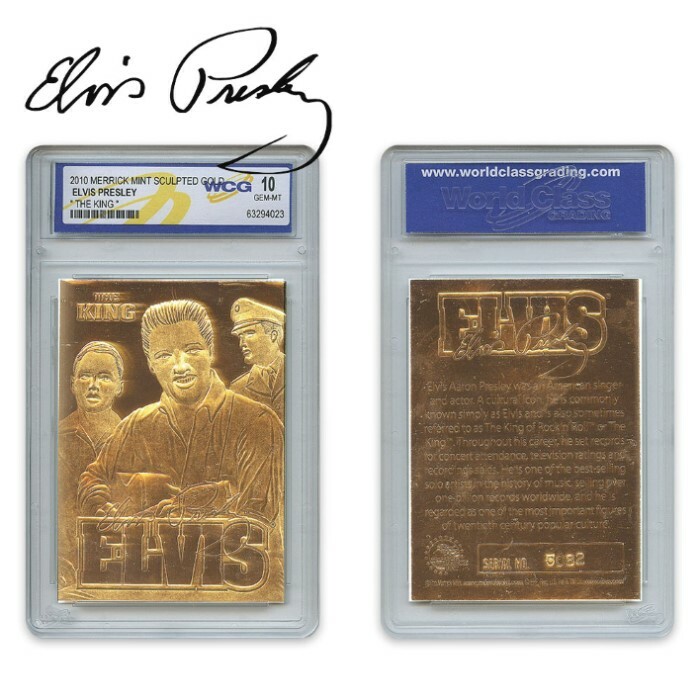 These collectible cards commemorate “The King” himself, Elvis Presley, with a hand-sculpted card finished in 23K gold foil. Three images on one side feature Elvis as a child, Elvis in the military, and Elvis famously playing the guitar and the other side provides the highlights of Elvis’ life. As an added bonus, this commemorative piece features a replica of Elvis Presley’s signature. 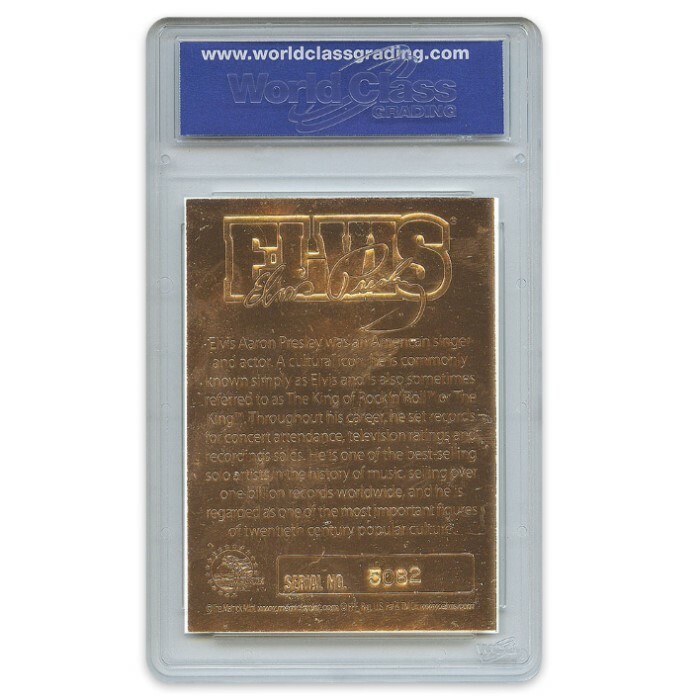 It comes in a protective graded holder to keep it in the best condition.